The best thing in life is free and that is why Linux is great as the operating system of your DAW. Being not able to spend even a single dime for your recording software and operating system is one of the biggest benefits of Linux home recording studio. However bear in mind that for every benefits, there is always a some disadvantages. 1.) All software that runs on Linux needs to be licensed in open source. Open source means that you can use the software for free. Now the good thing is that not only the OS is free but the ENTIRE software that runs on Linux as well. This means to say that you do not need to spend a thousand dollars to buy audio recording plugins and accessory software in Linux because they are also free. 2.) 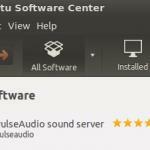 Want something to be upgraded for your favourite plugin or software? You simply need to ask the authors and if it’s commonly requested it will be updated in the future. Of course, showing a little love of their work by making a kind donation can be a strong contributing factor to the long term success of the open source project. 3.) 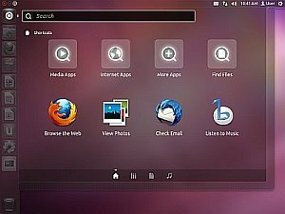 Commonly available hardware can run Linux without any issues. If you have a Windows machine you can simply re-use the hardware for installing Linux. This means to say that you do not need to spend a single dime on the hardware if you would like to change your operating system to Linux. 4.) Linux is a super-secure operating system, so no need for an antivirus or to freak out every time you insert your client USB flash drive to your PC. 5.) An increasing user community for Linux musicians. You can meet them in most Linux or Ubuntu forums. They are willing to help for free. 6.) Some complex hardware including Firewire audio interface which is crucial for quality recording can run in Linux. You can read this tutorial for details. 7.) You won’t fear about software becoming obsolete. 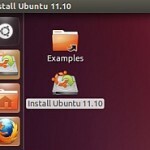 In Linux, software are continually updated even the main Linux kernel and distribution (such as Ubuntu). When an update is released, you can upgrade for free. And you will never feel that you have an obsolete setup because you can always upgrade it without paying anything. This is different with Windows. If you have a Windows XP recording system and DAW, the software and drivers could become obsolete as Windows would release more modern OS such as Windows 7 and Windows 8. You cannot take advantage of these new releases unless you pay for a software license.